Macrocarpa is visually graded and as there are no set grade standards there will always be a variance in opinion between grades. We always to aim to be accurate as possible to grade but an allowance for a percentage of offgrade in an order must be regarded as acceptable. Knots, when present, as a result of drying may include small splits or checking. Timber is air dried under cover in a purpose built shed for a minimum of 12 months up to 3 years for the larger dimensions. 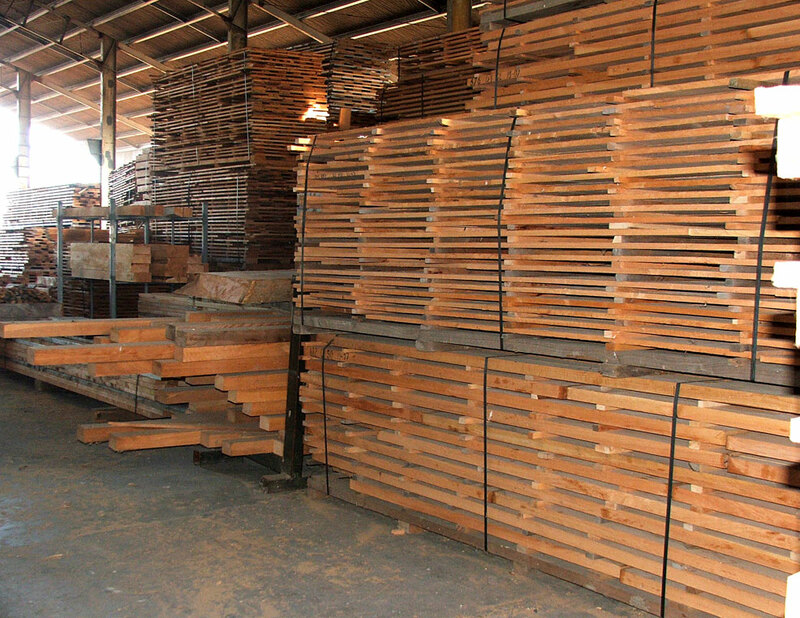 All timber dried is cut to grade, marked to length and the clears sealed on the ends. Macrocarpa does not kiln dry well, it invariably causes internal cell collapse and checking. Profiling and dressing for larger orders is outsourced.